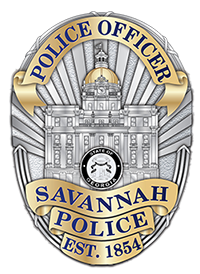 Welcome to the Savannah Police Department Citizen’s Online Police Reporting System. Crimes that can be filed online usually do not require an in-person police response. If you can answer yes to all of the following, then you may file an online report using this system. Please make sure to turn off your pop-up blocking software before filing the report. This incident occurred within the Savannah City limits. If the incident occurred outside the jurisdiction of SPD, please call (912) 652-6500. There are no known suspects (description and/or name) or suspect vehicle descriptions (tag numbers). There is no physical evidence to collect or process. The incident is not regarding the theft or loss of ID and/or identification documents (passports, consular ID) issued by foreign governments. The theft of a firearm is not involved. The theft or loss of a prescription medication is not involved. Please be sure to review the entire list with definitions and examples on the following page. Please click on “Select Incident” to begin. If your incident is not listed in the category selection list, please call the Savannah Police Department (Emergency 9-1-1; non-emergency 912-652-6500) to file your report. Be given a temporary police report case number. This is your confirmation number, but not your official police report number. The reports filed online are also usually the quickest and easiest way to get a report for your insurance company. All cases filed using the Citizen’s Online Police Reporting System will be reviewed. Upon review, your report could be approved or denied. Please remember that filing a false police report is a crime. Answer: If your incident is an emergency, call 911. If non-emergency, call 912-652-6500. Answer: No. If a crime took place outside of the City of Savannah, please call the police department for that jurisdiction. Answer: If this took place on a state Freeway, please call the Highway Patrol Office nearest you.